The Computer Studio has a team of technicians, experienced in Apple repair in our East Grinstead & Crowborough workshops. All repairs and upgrades covered, from liquid damage and screen replacements to RAM upgrades and software issues, we can get you back up and running in no time. Is your Mac slow, crashing, not starting up? We can troubleshoot these issues and get you back to normal in no time. From kernel panics to poor wireless issues, our diagnostic technicians will find the problem and solve it for you. Moving to a new Mac? Or migrating from a PC? We can help transfer your data. Lost or deleted data, failing hard disk? We have many years of experience in data recovery and can get your data back. Disposing of an old machine? As well as data recovery, we also offer data destruction. We can help back it up before destruction too! Does your Mac require more RAM or more storage space? 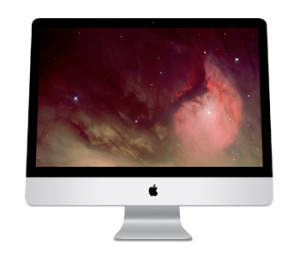 RAM upgrades available for Macbook Pro, Macbook Air, iMac, Mac Pro & Mac Mini. Larger Hard Disks fitted, with all data moved to the new drive, just as it was but with more space! Need more speed? SSD upgrades available from £80. We regularly maintain many of our customers Apple machines. Internal cleaning to solve noisy fan and over heating issues. System tune up to speed up your machine. OS upgrades for those with slow internet speeds. Have a custom request? Get in touch we are always happy to help. So, you broke it! No problem, we can fix it. Our every day Apple jobs include screen and glass replacement, keyboard replacement, damaged charger port replacement, snapped hinge repairs and more. We also specialise in liquid damage repairs.